Arrive Chicago. Guided tour of Chicago with visit to America’s tallest building, Willis Tower (formerly known as Sears Tower). Overnight Chicago outskirts. Meet with specialist for overview of Midwest agriculture including marketing and logistics. Farm visit and travel to central Illinois for overnight. Farm and technical visits western Illinois and eastern Missouri. Farm Progress Show in Decatur, Illinois (odd years) or Boone, Iowa (even years). Farm and technical visits en route to Moline. 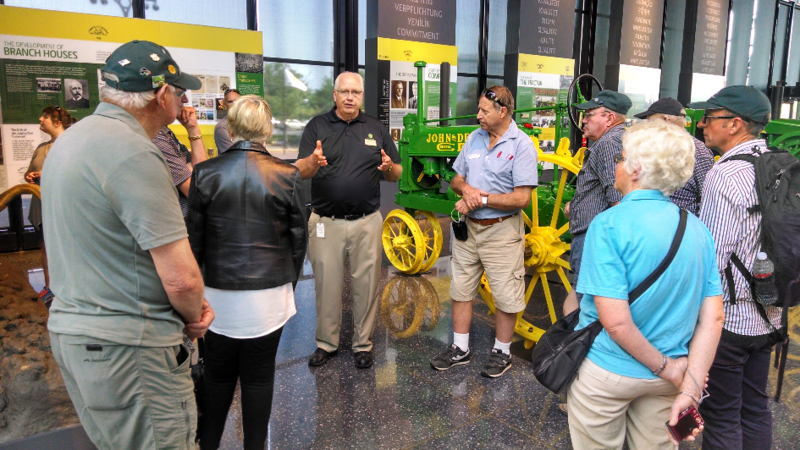 Visit John Deere visitor's center and tour John Deere factory. Travel to Chicago with technical visits as per group's interest. Outlet mall shopping.